Week one down of our anti-fuckface satire, Jojo Rabbit. Can’t wait to share it with the world. Also, what better way to insult Hitler than having him portrayed by a Polynesian Jew? 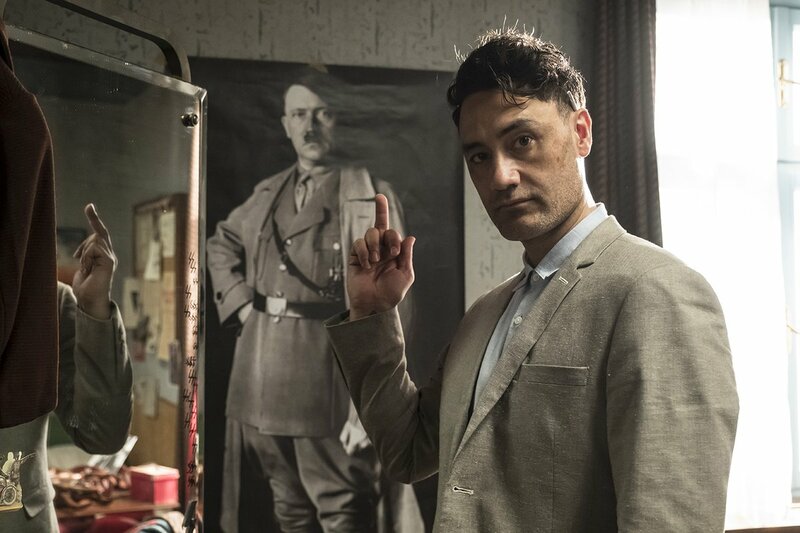 In JOJO RABBIT, writer-director Taika Waititi (THOR: RAGNAROK, HUNT FOR THE WILDERPEOPLE), brings his signature style of humor and pathos to a World War II satire. The story follows an awkward young German boy (Roman Griffin) raised by a single mother (Scarlett Johansson), and whose only ally is his imaginary friend Hitler (Waititi). His naïve patriotism is tested when he meets a young girl (Thomasin McKenzie) who upends his worldviews, forcing him to face his biggest fears.